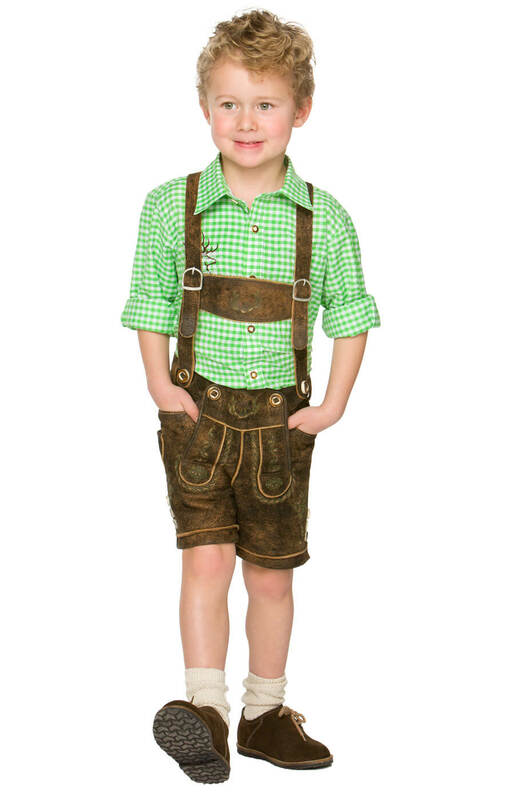 Children's Lederhosen Girgl in Antique Brown. 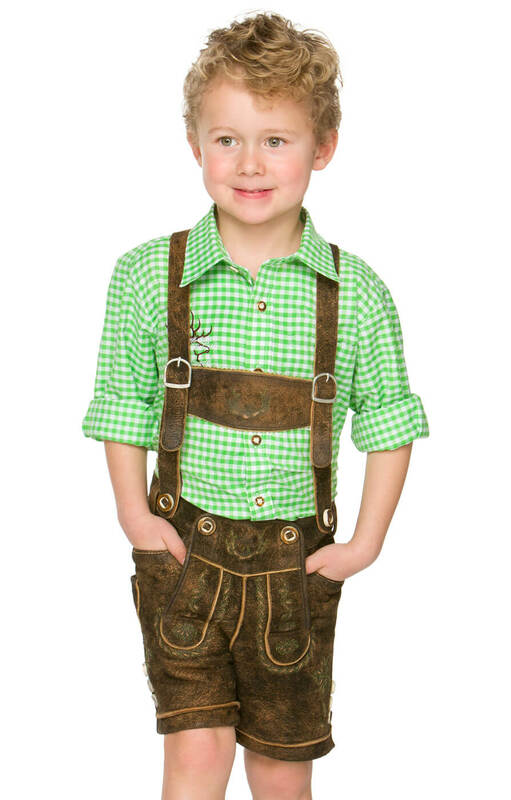 Children's lederhosen in antique brown high-quality leather, traditionally styled with fully adjustable H-straps and lavishly decorated with trachten embroidery in green. 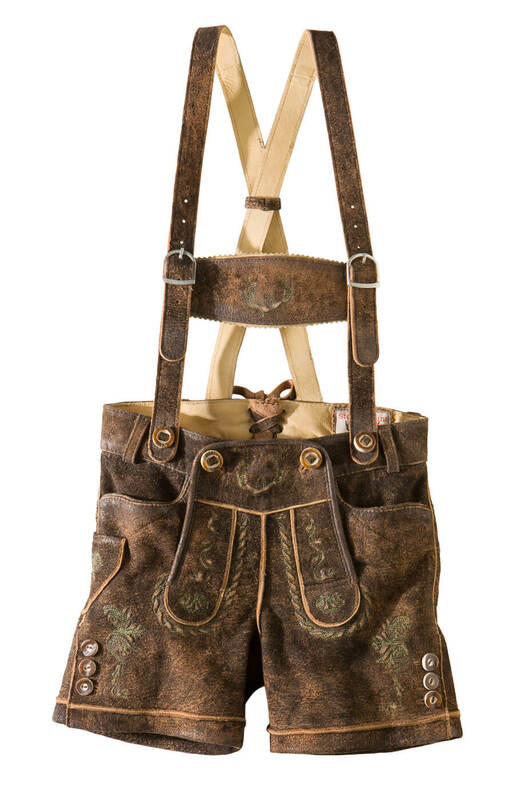 The raw edges of the seams, in light brown, emphasise the lines of this classic Bavarian design. 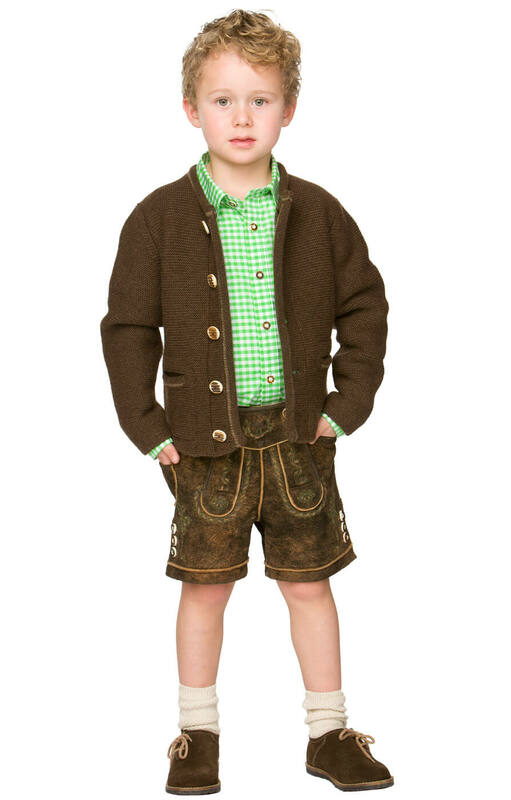 A front flap opening is stylishly trimmed with horn buttons. 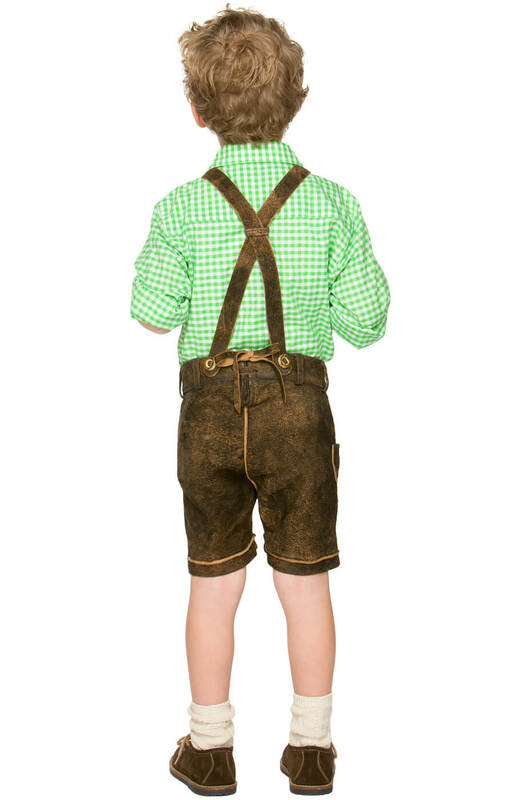 Leather ties at the back waist are adjustable for a comfortable fit and waist loops are also provided, so the lederhosen can be supported with a belt if preferred. 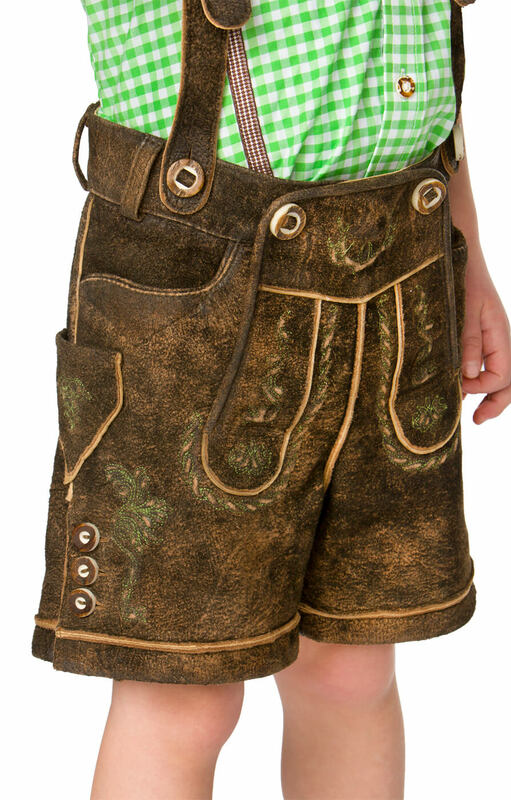 These handsome children's lederhosen are perfect for festivals and special occasions, but are also sturdy enough for alpine rambles.